FROM I-74 Take Sunman exit, SR 101 South to rt. on SR 48, to rt. on 500E, home on right. Signs on! Live Off or On the Grid on this Perfect Mini-farm! 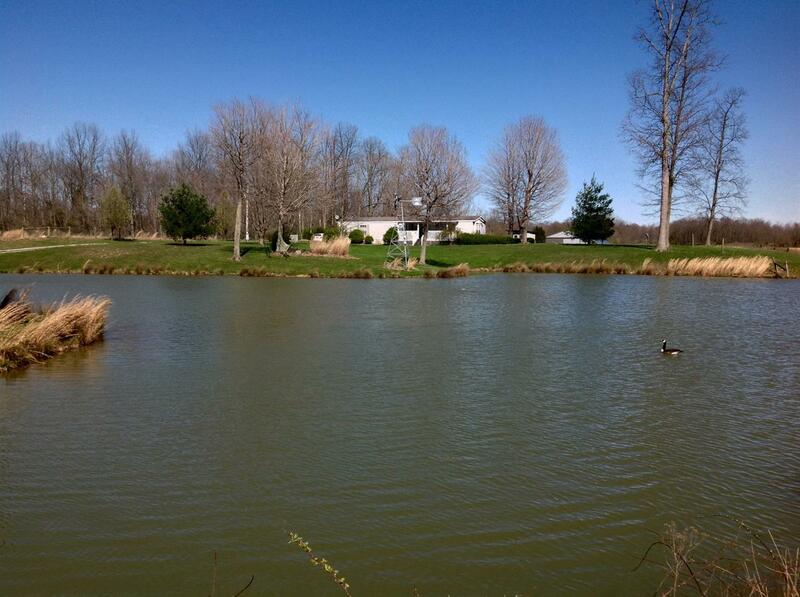 Features 10 fully fenced acres with fantastic building site overlooking lake. Live in the existing 2BR, 2BA mobile home while you build.24x30 pole barn, 40x21 detached garage w/ 12x26 lean-to, 12x20 portable lofted shed, 12x12 run-in, $33,000 solar electricity system, chicken coop, and more!